Ottawa – The Government of Ontario has presented the City of Ottawa with an Ontario Age-Friendly Community Recognition Award for its development and implementation of the Older Adult Plan. 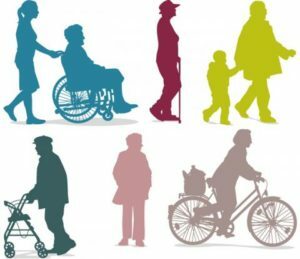 This is the first year for the Provincial government award, which recognizes communities who have taken steps to make their environments more accessible and age-friendly. The communities selected to receive this award are ones that have engaged and collaborated with seniors and community partners to develop plans and initiatives that make cities more welcoming and accessible for seniors. Since the beginning, the City has worked with the Council on Aging through the Age Friendly Ottawa initiative to ensure that our mutual efforts are coordinated and go further to responding to the needs of seniors. 13 facilities around the City that are highly frequented by Seniors have been upgraded to include more accessibility features, including 14 power door operators, stair treads and tactile walking surface indicators, handrails, ramps, and assistive listening devices. 39 accessible benches have been installed in various locations around the City that have high concentrations of older adults. A total of 2,637 curb cuts have been completed to eliminate tripping hazards between sidewalk panels in the city. 152 new accessible benches have been installed at 22 different Transitway Stations across Ottawa. A review of crossing and signal times at intersections across the city resulted in the adjustment of crossing times at 53 intersections with a high concentration of older adults. A total of 81 grit boxes are now located around the city for public use to keep sidewalks safe for walking during the winter. Accessible pedestrian signals and countdown timers have been installed at 48 intersections across that City that have high concentrations of older adults. 104 seniors, with and without a disability, have been approved for the Ontario Renovates Program. A second edition of the Guide for Programs and Services for Older Adults was developed and is available in five (5) languages: English, French, Spanish, Arabic and traditional Chinese. A one-page flyer was created and distributed to older adults through the Seniors Roundtable, Ethno-Cultural Seniors’ agencies and centres, Seniors Homes, Long-term Care Homes, among others, to promote and educate older adults on 211, 311 and 911. Volunteer opportunities for older adults continue to be advertised on an on-going basis and promotion is a regular part of community relations. 795 (205 in French/590 in English) copies of the Mental Health Caregiver Guide were distributed to older adult and caregiver service providers, including Anglophone, Francophone, and bilingual agencies. Over 3000 Older Adult Emergency Preparedness kits have been distributed to seniors in the community. Materials are available in six languages; English, French, Somali, Arabic, Spanish and Chinese. In Ottawa, there are 14 Community Health and Resource Centre locations, in collaboration with Ottawa Public Health, that offer monthly dental visits and services for older adults. Seniors’ Month has been celebrated annually in June through senior social events hosted by Councillors, and a flag raising ceremony occurs yearly to celebrate the International Day of Older Persons. The Senior of the Year Award is presented annually to an outstanding senior citizen at the Council meeting in June. Four Community Arts Projects were initiated and completed and involved the participation of 40 seniors. For more information on the Older Adult Plan, you can call 3-1-1 or email olderadults@ottawa.ca.